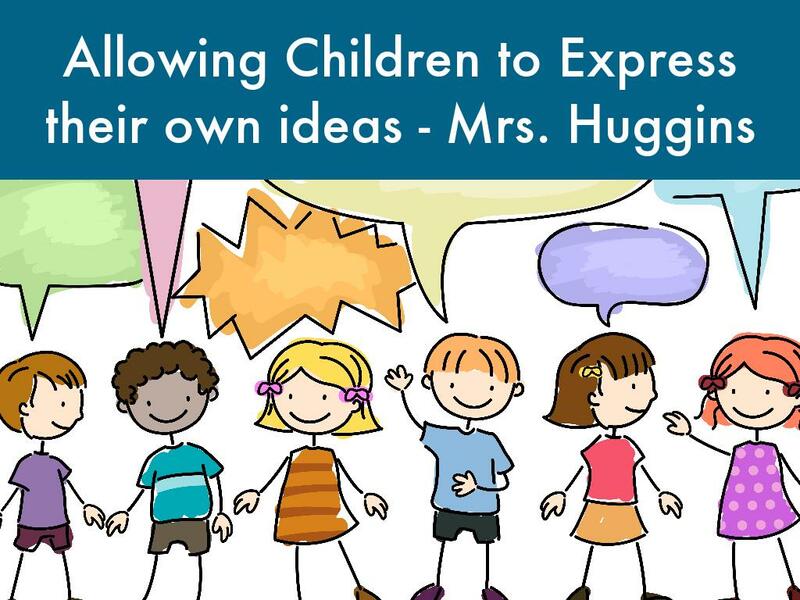 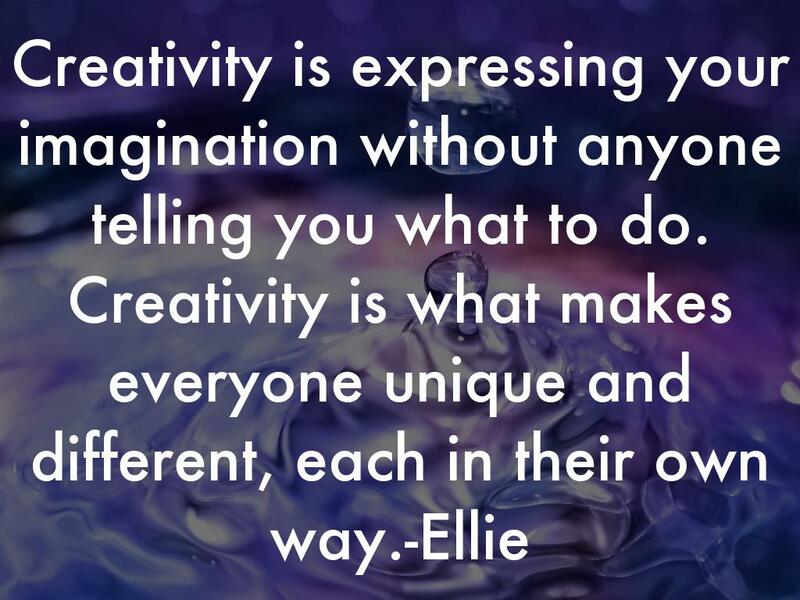 Creativity is expressing your own ideas in your own ways, and thinking out loud on paper, and having your own artistic voice. 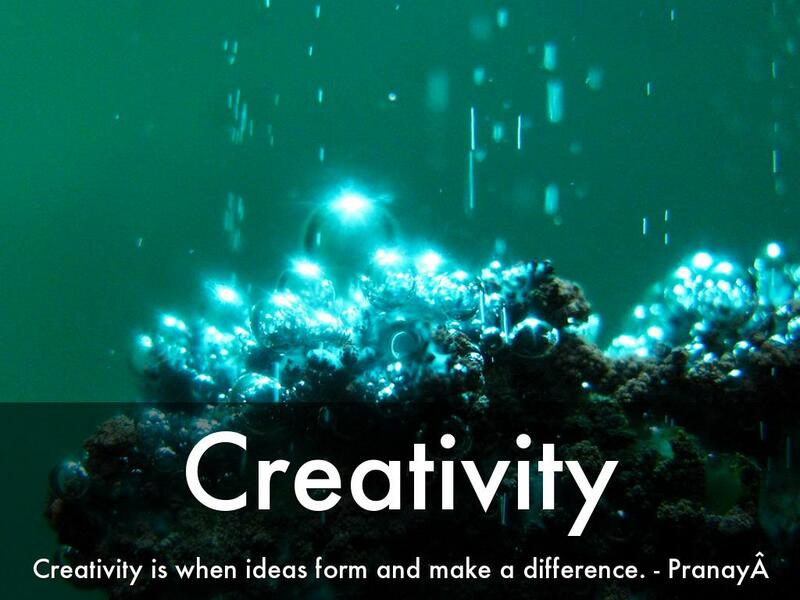 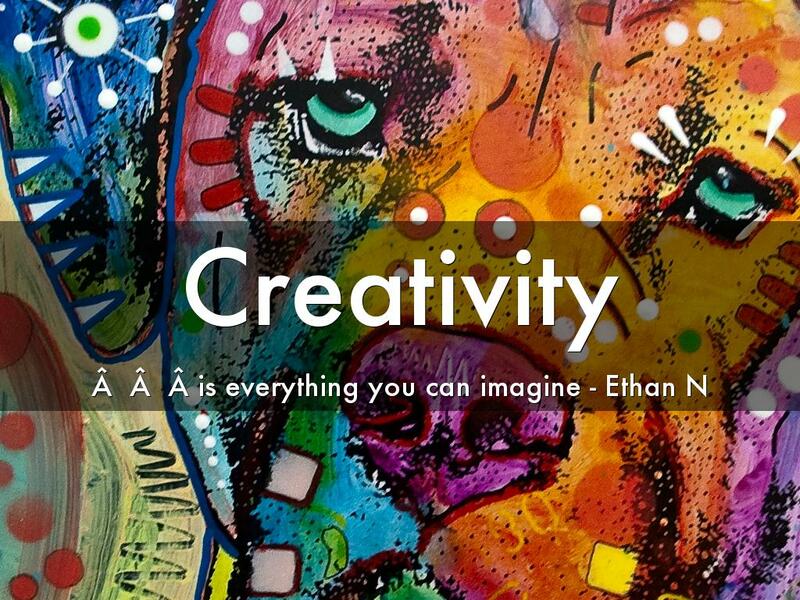 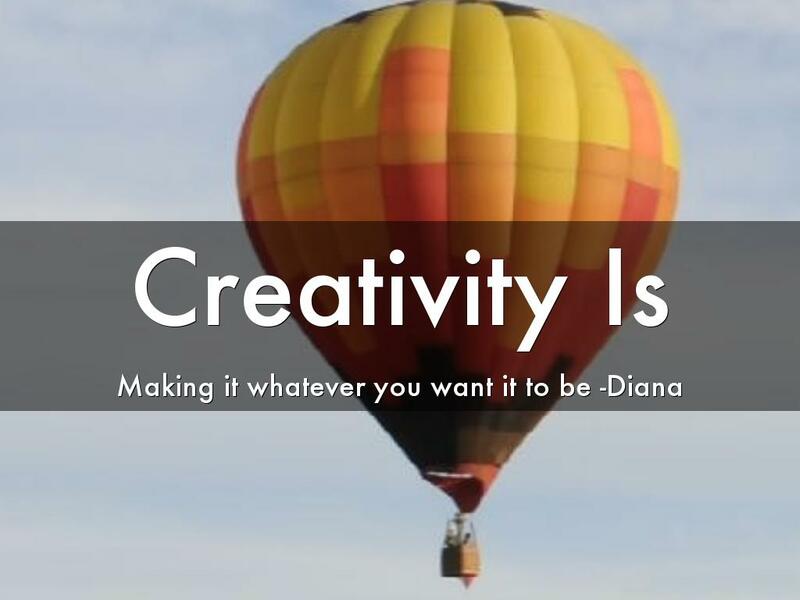 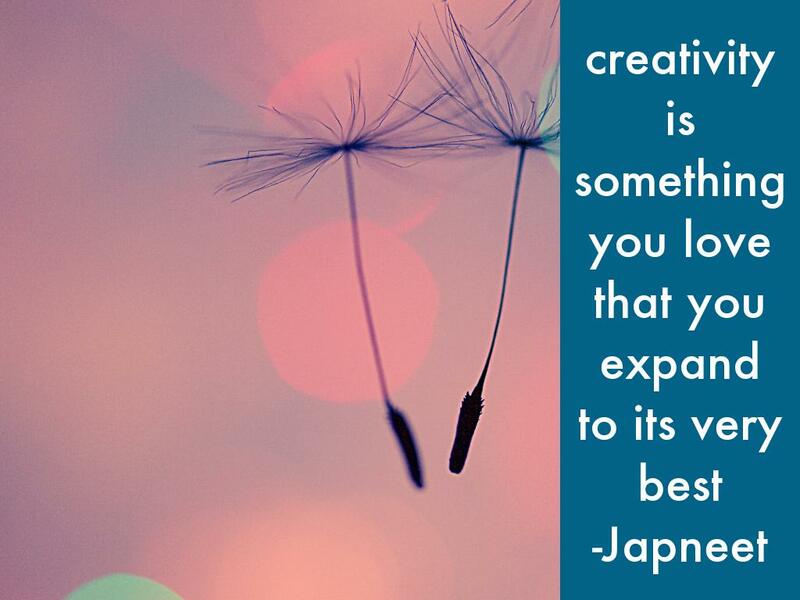 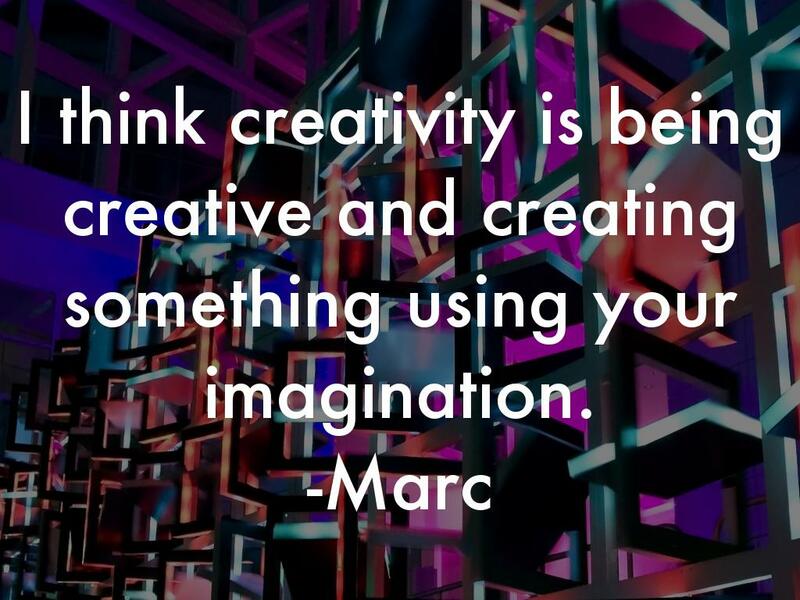 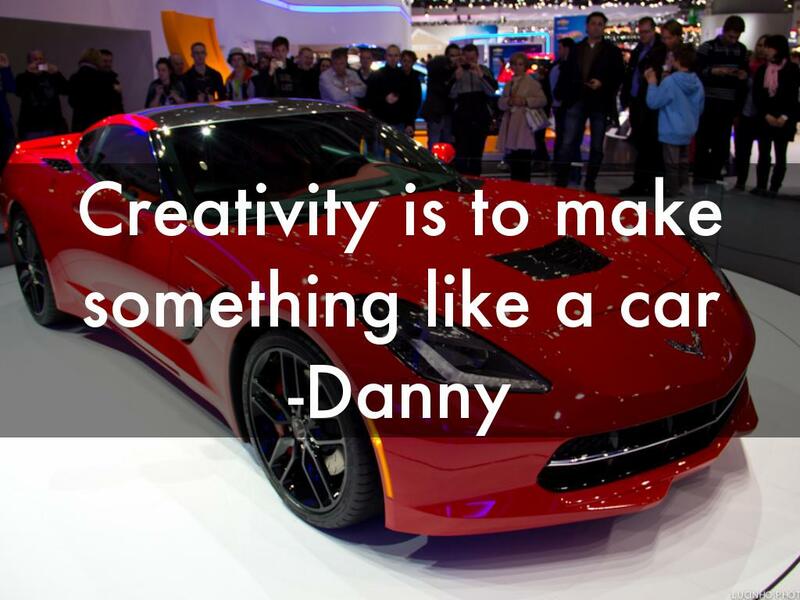 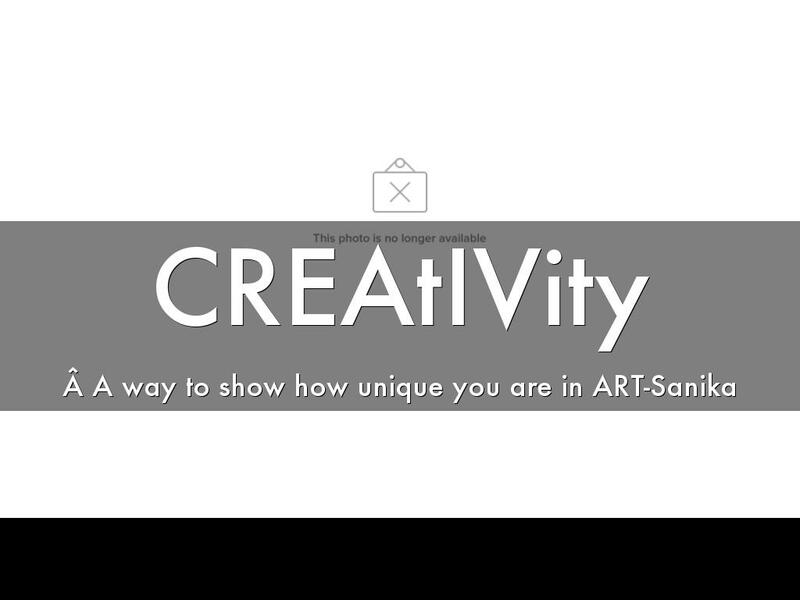 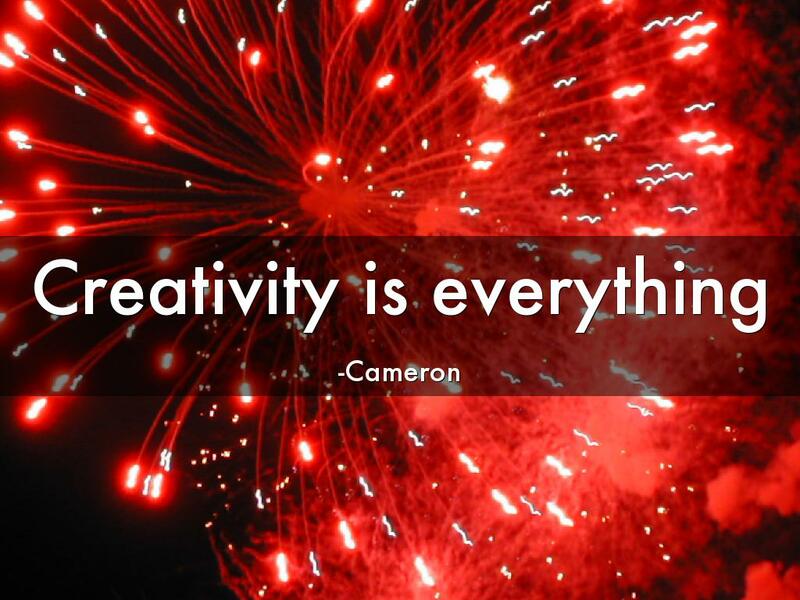 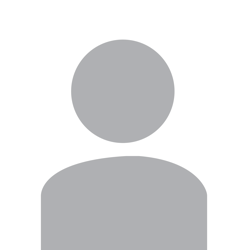 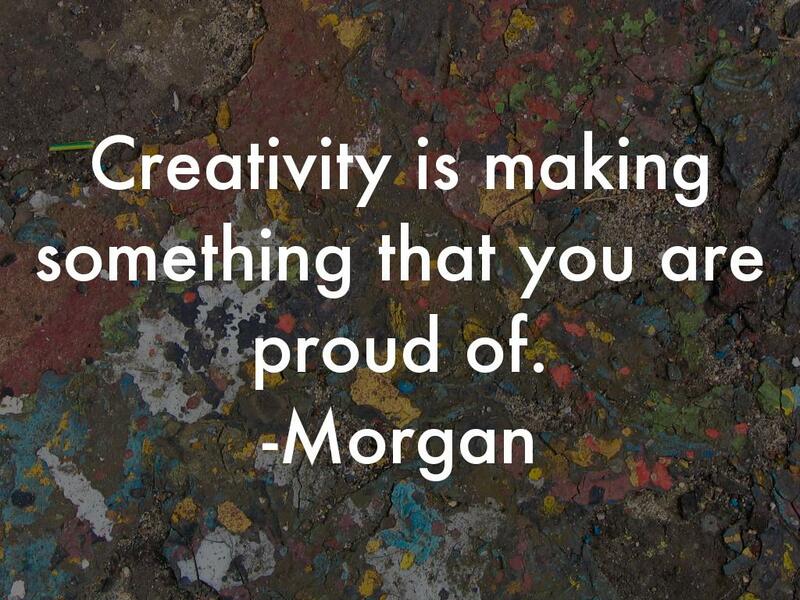 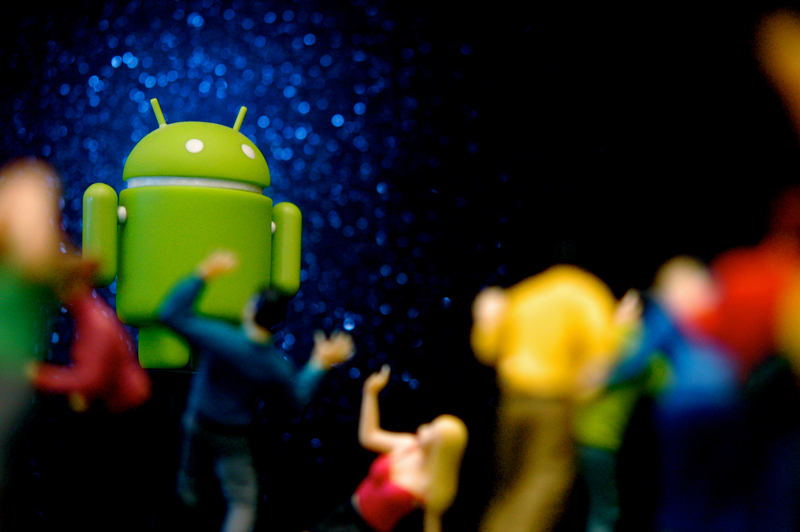 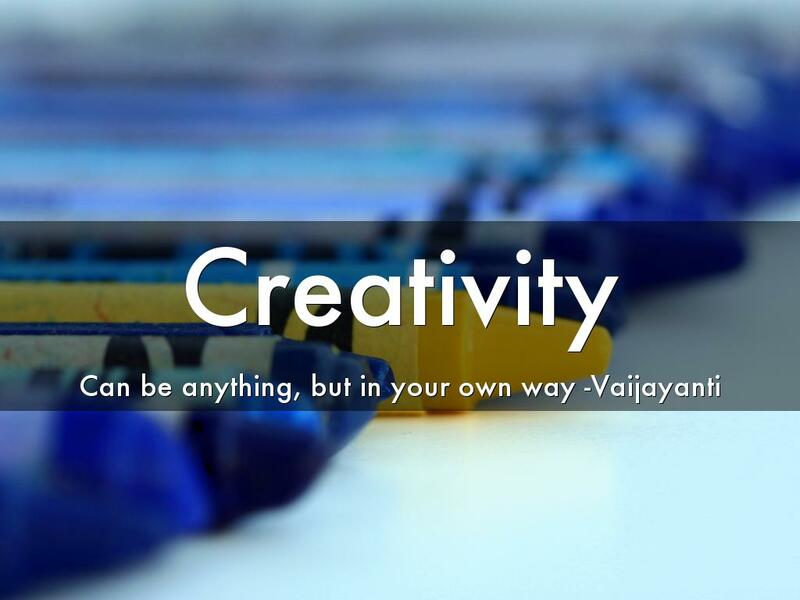 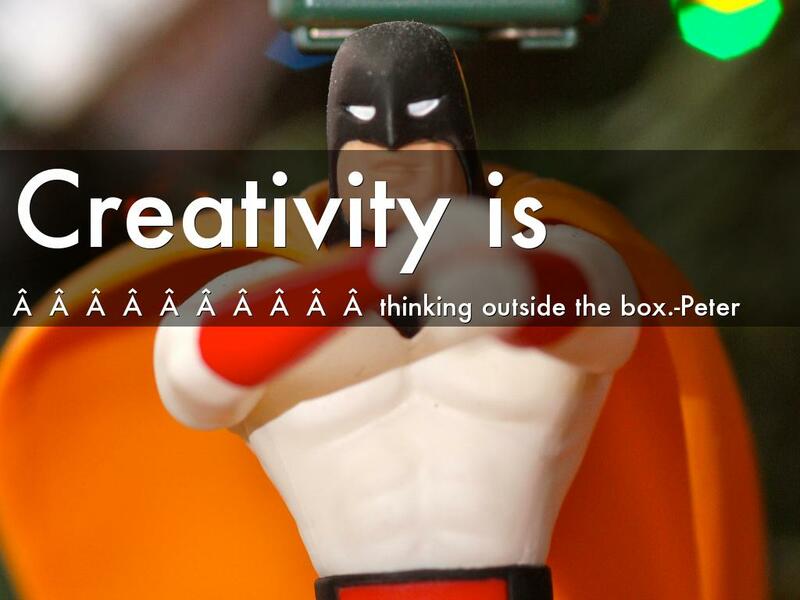 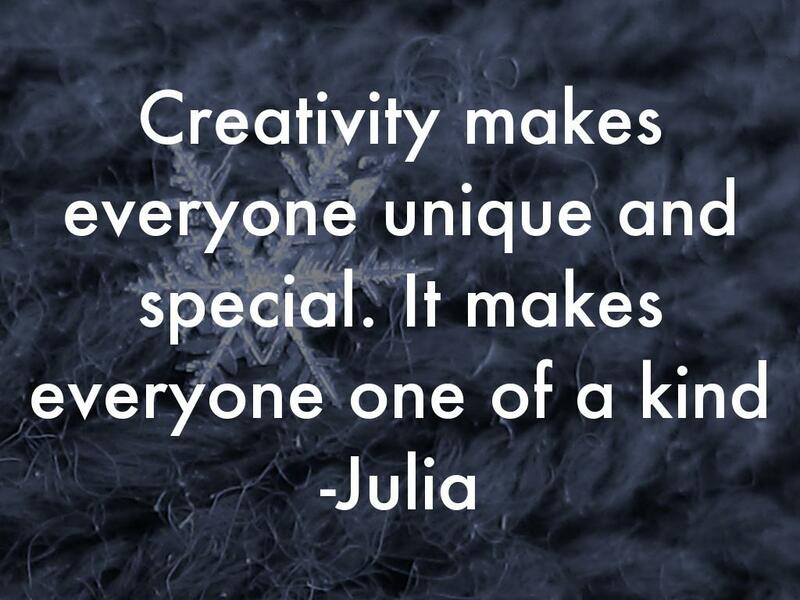 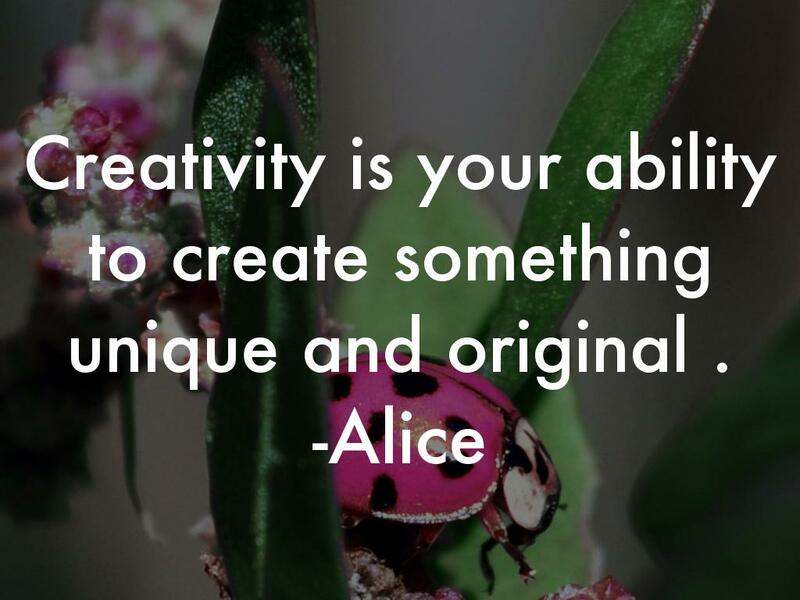 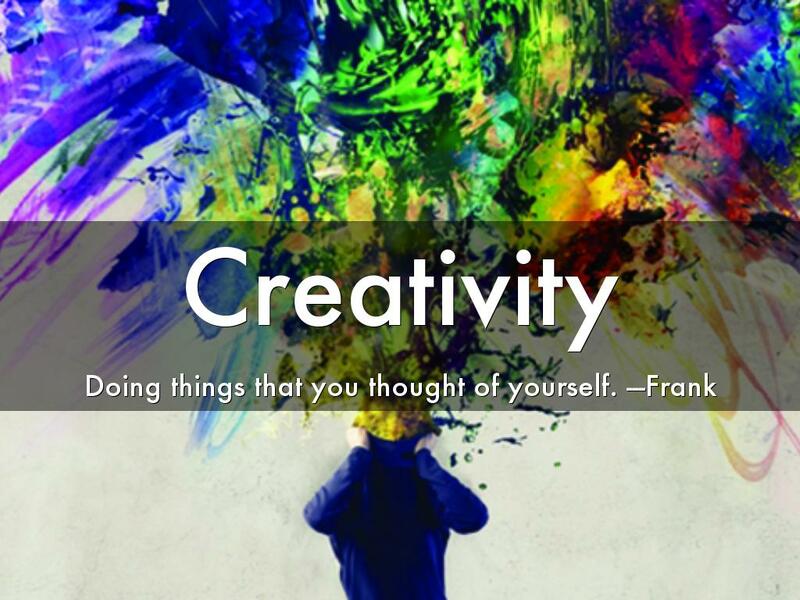 Creativity is your ability to create something unique and original . 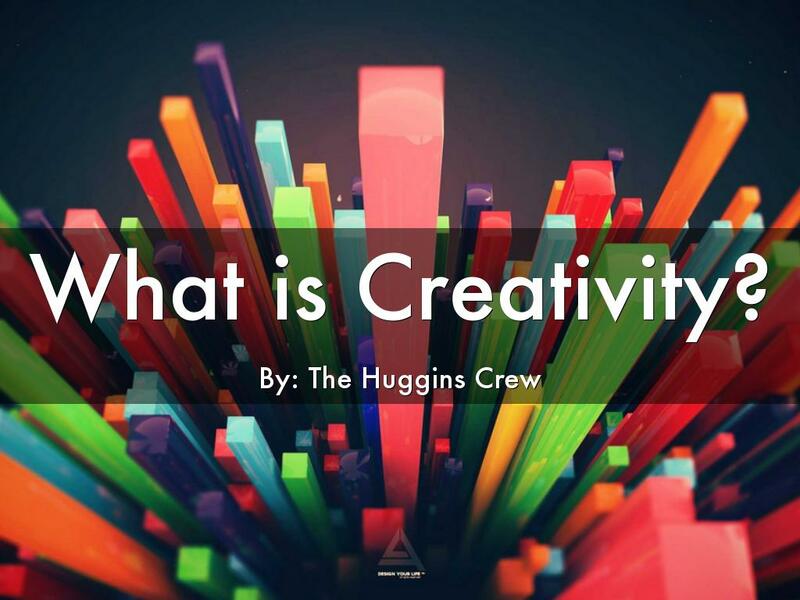 Creativity is the wonder and amazement that we have to make incredible ideas.Without creativity, life would be without the amazement we hope to live.Nothing would be the same without the creative ideas we put to the world.Especially,the ones that mean a lot! 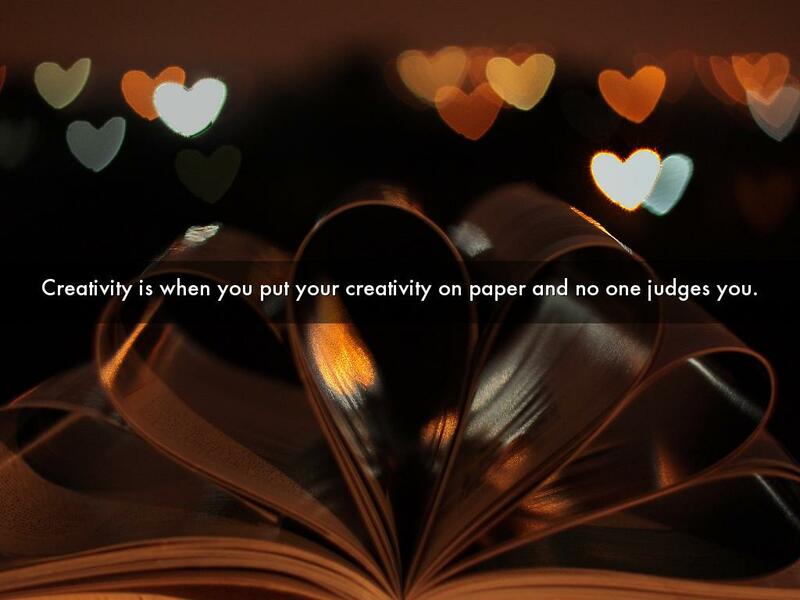 Creativity is when you put your creativity on paper and no one judges you. 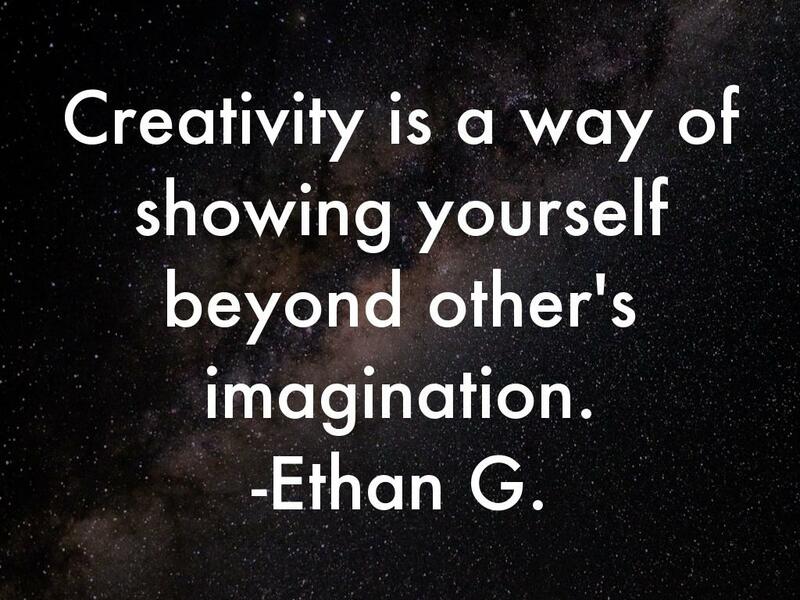 Creativity is a way of showing yourself beyond other's imagination. 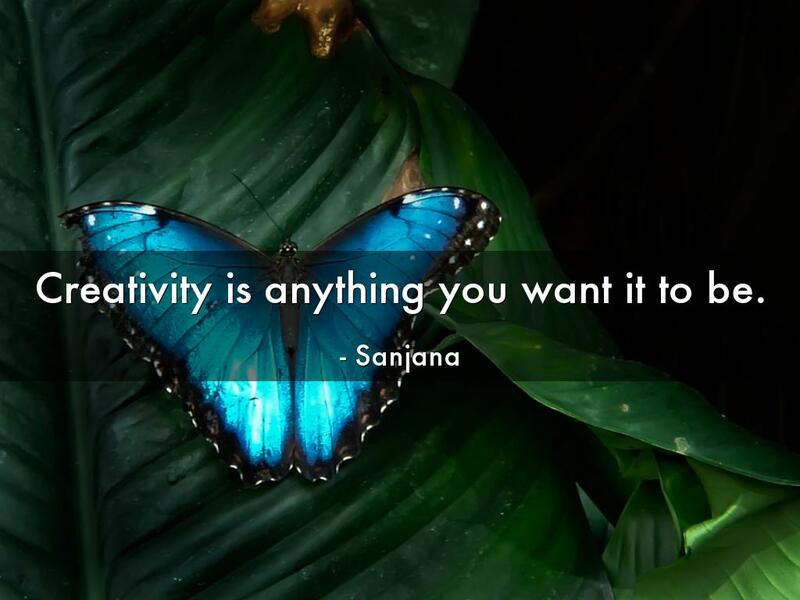 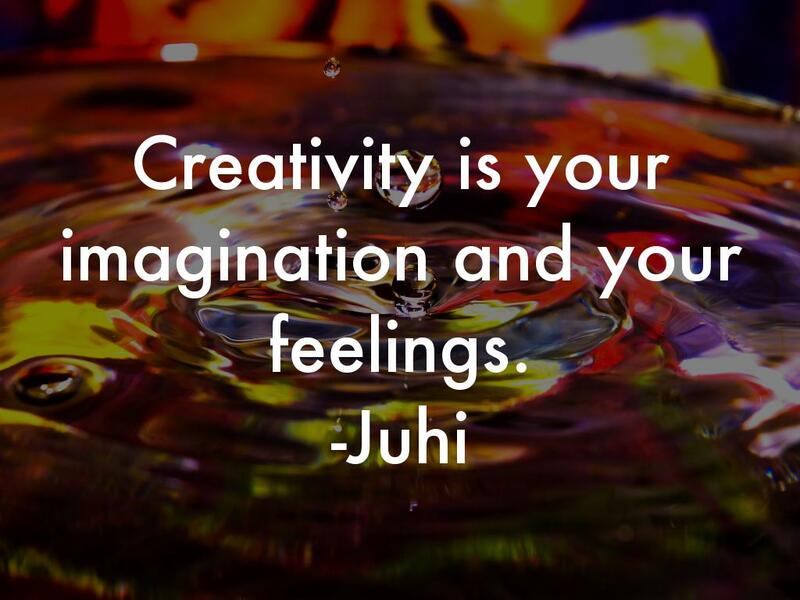 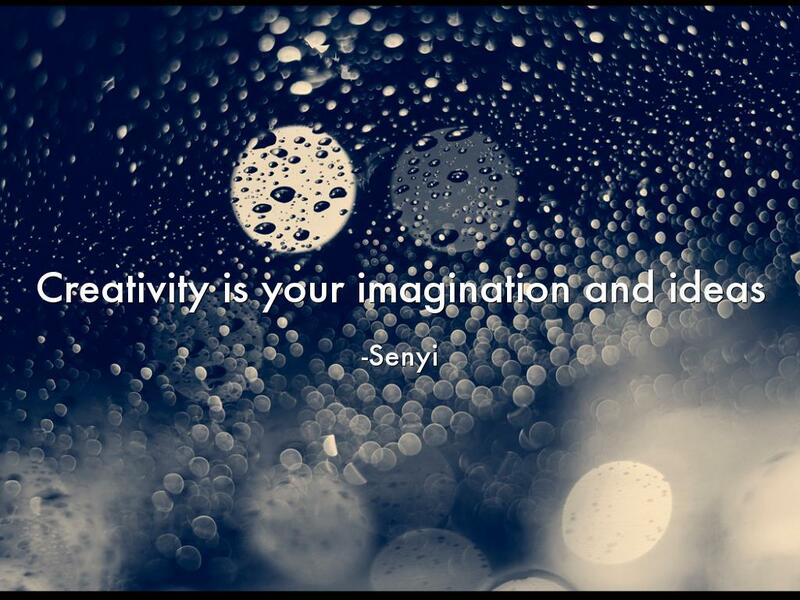 Creativity is your imagination and your feelings. 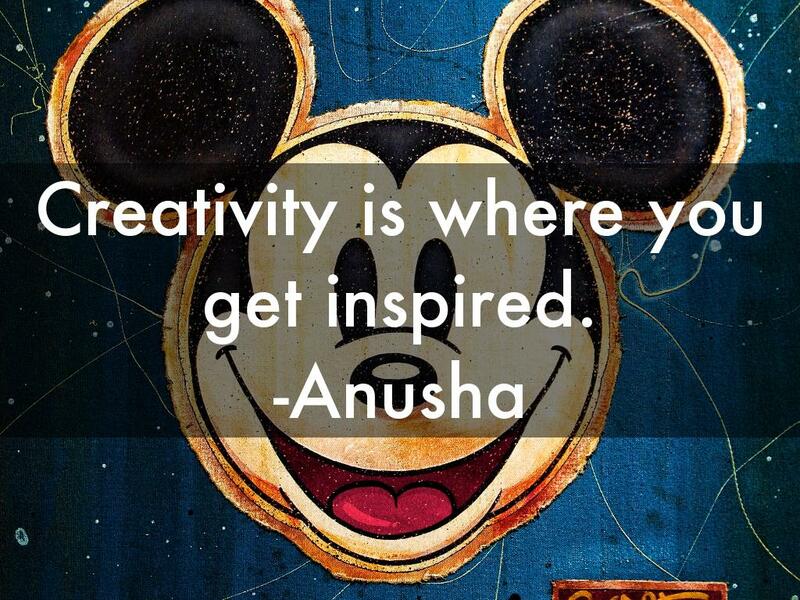 Creativity is where you get inspired. 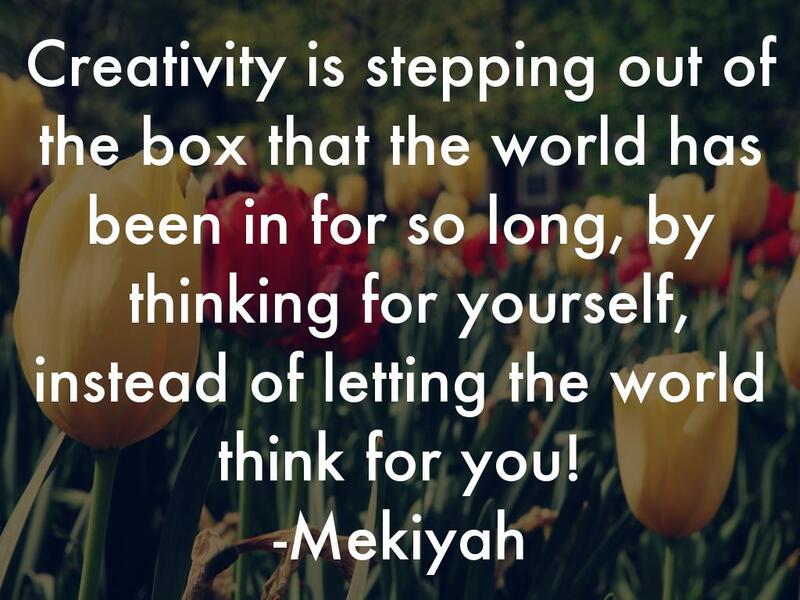 Creativity is stepping out of the box that the world has been in for so long, by thinking for yourself, instead of letting the world think for you! 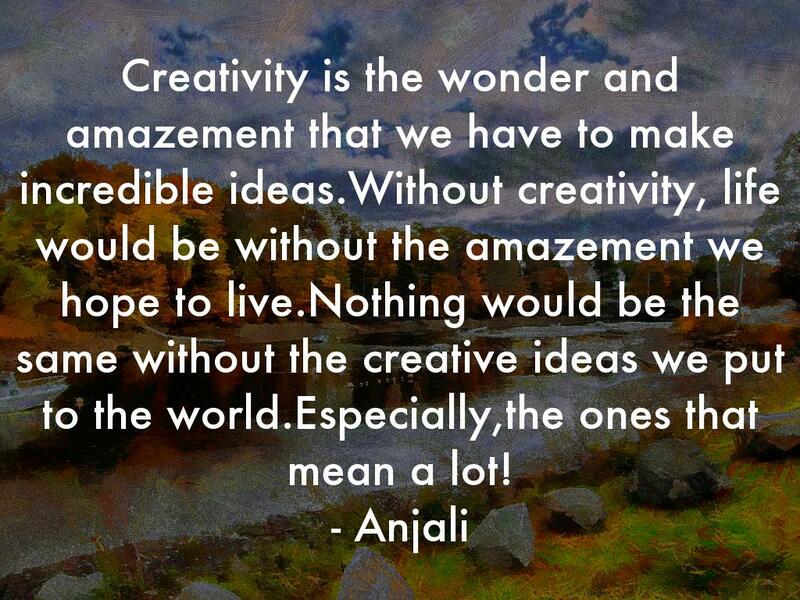 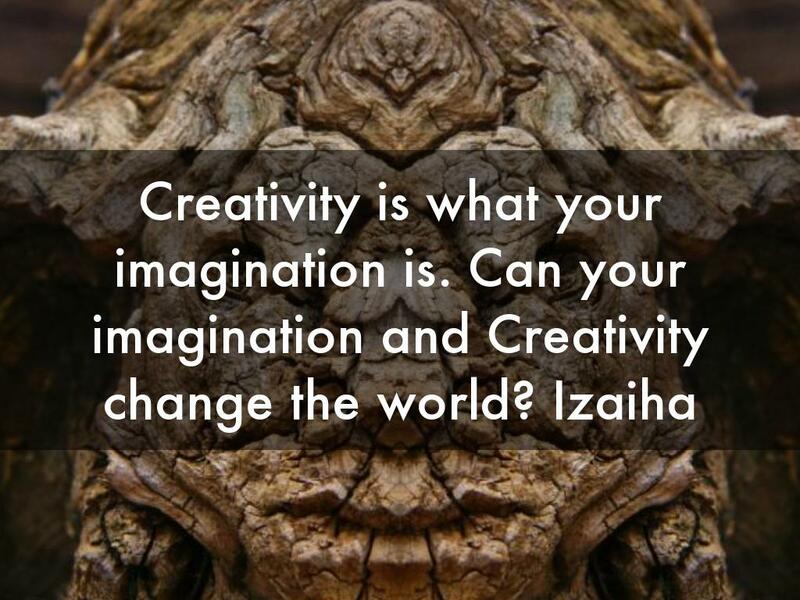 I think creativity is being creative and creating something using your imagination. 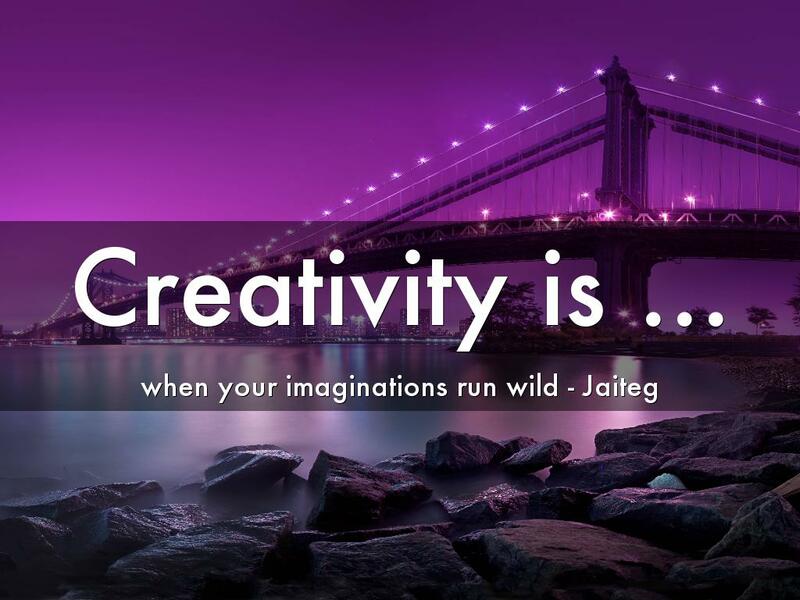 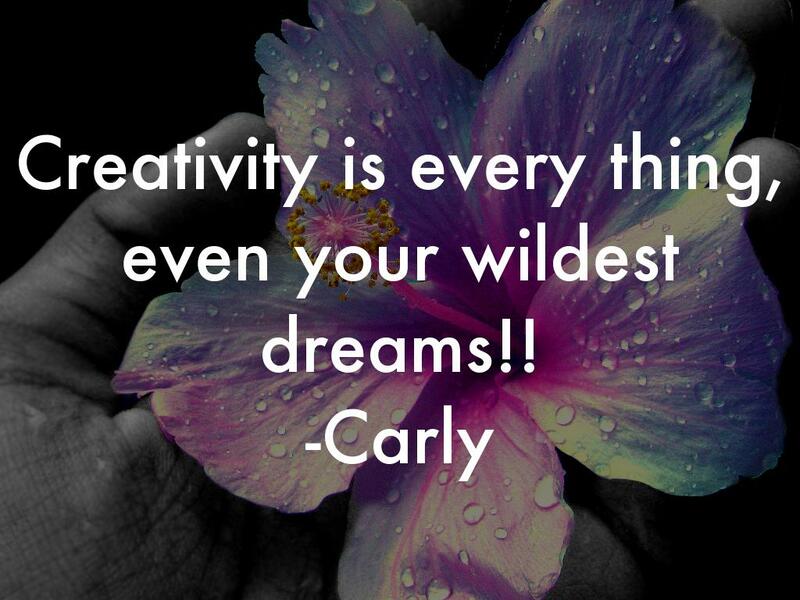 Creativity is every thing, even your wildest dreams!! 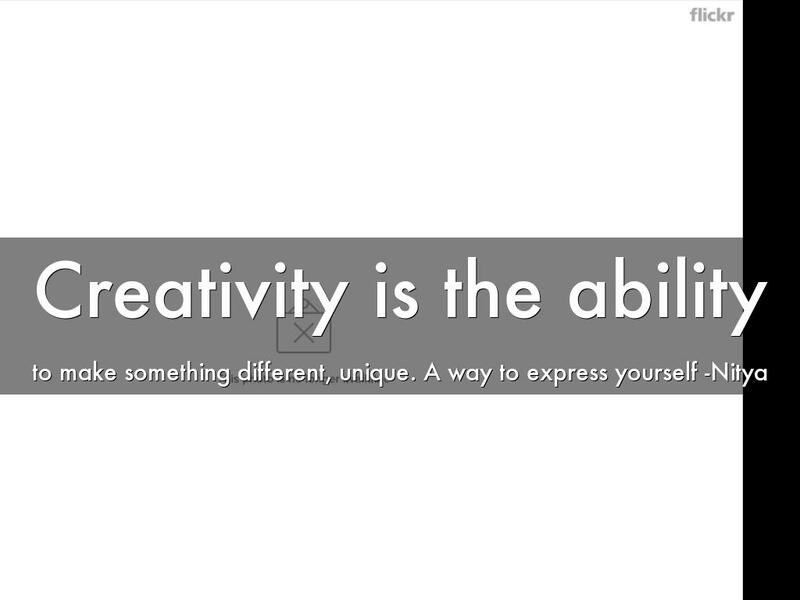 Creativity is anything you want it to be. 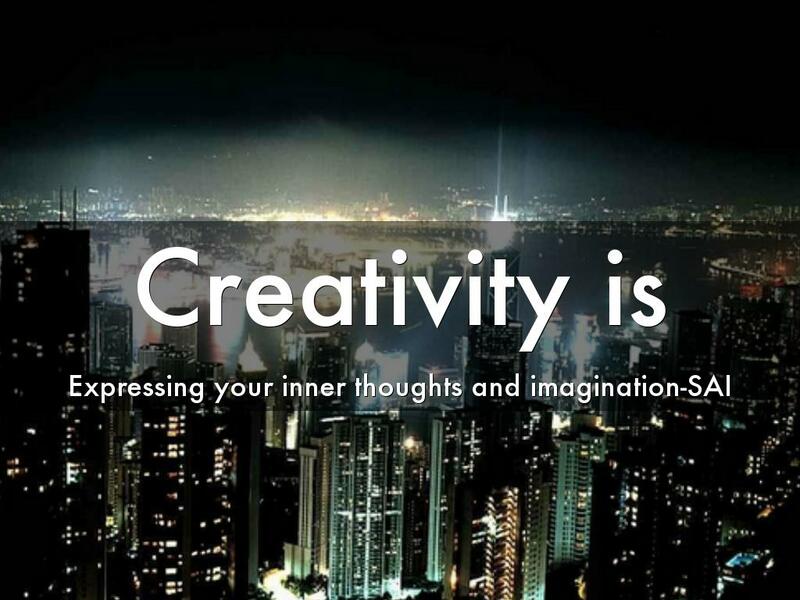 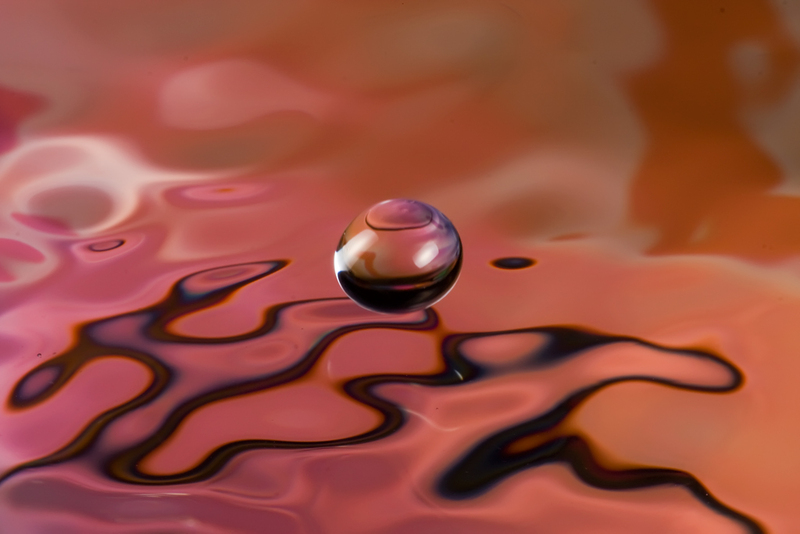 Creativity is when you cleverly brainstorm stuff in your mind and put it on a piece of paper. 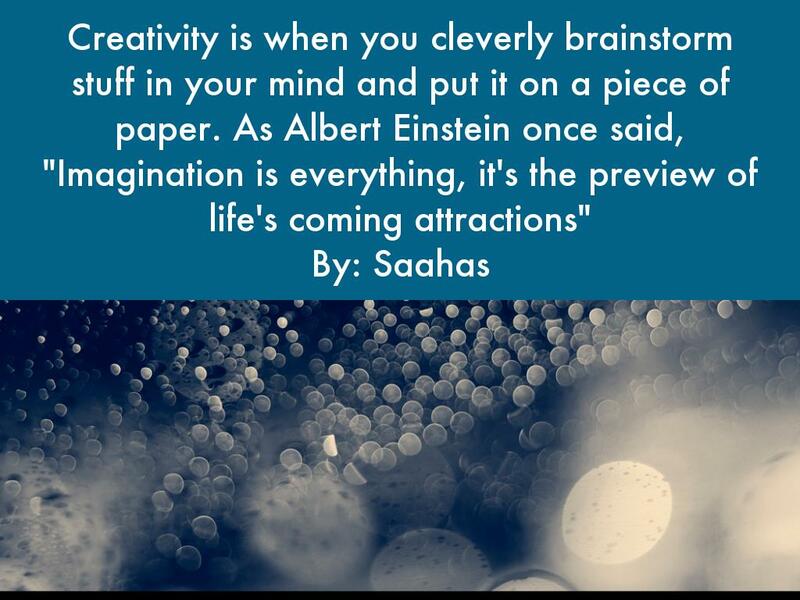 As Albert Einstein once said, "Imagination is everything, it's the preview of life's coming attractions"
Creativity is making something that you are proud of.